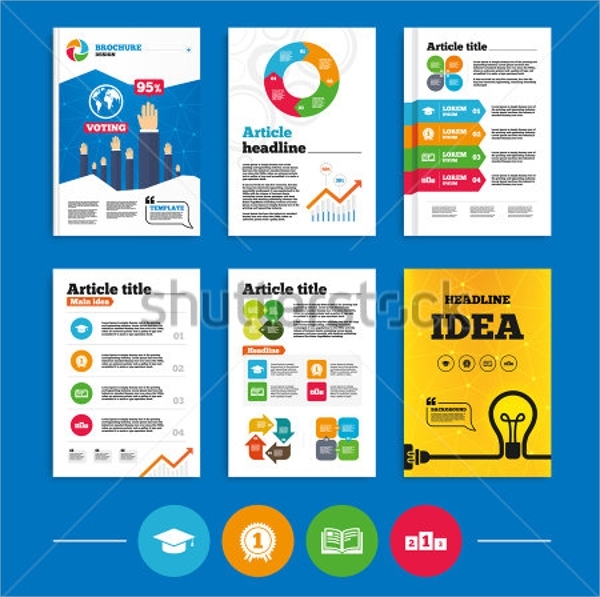 The separate template pages are to be joined to make a single brochure or may be used for separate brochures in one page or flyers. 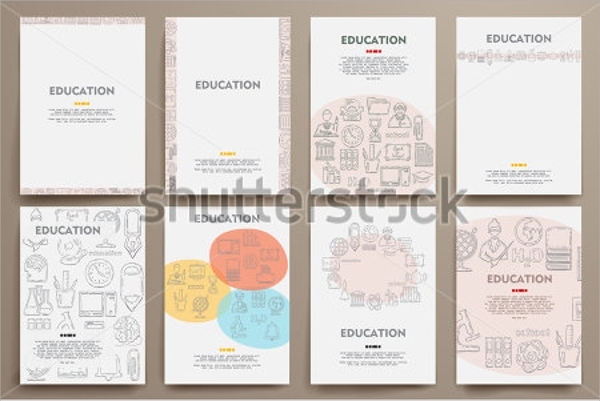 The design is colored with pastel shades and is soothing in infographics style. 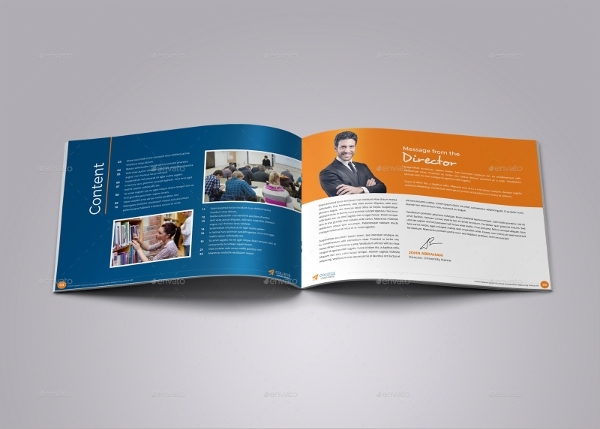 This is a tri fold brochure design is sleek and colorful. The main task of which is to highlight the main objectives and courses without getting into much details. 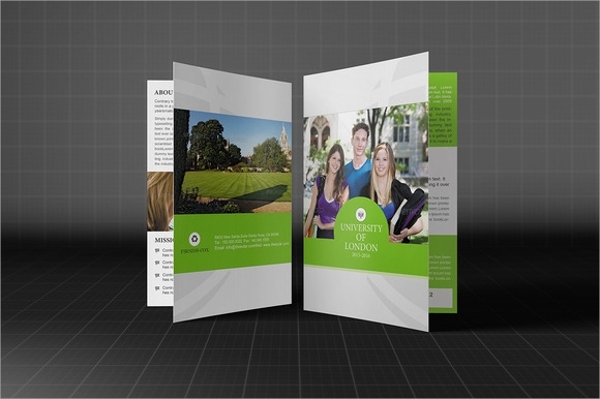 The brochure template showcases fresh green fields, which you may obviously have to replace with your own design. But the overall look is neat and based on white to accommodate important highlights. 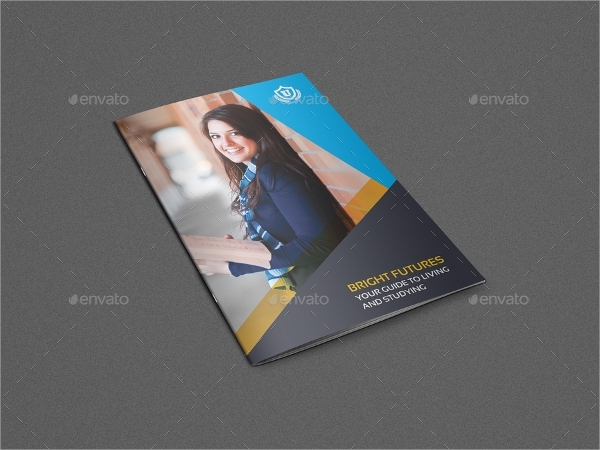 This pack contains the bright candy colored templates which are designed on a white background. Images are not emphasized and rather charts and color swatches are used here. 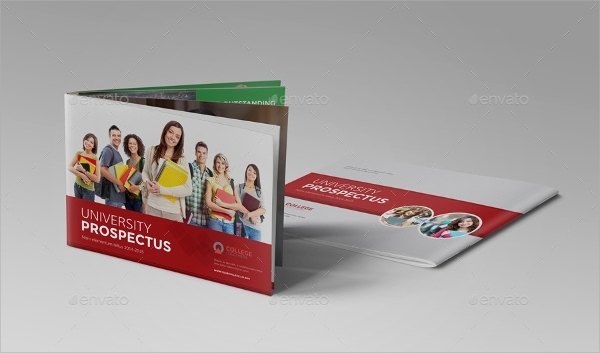 This is a nice and colorful brochure design with detailed pages to accommodate all that you feel fit about the college or courses. The smart images, the colors and charts, the highlighted texts all look much synchronized. The telegram envelope style border design on the brochure front page with full white background and a small image at a corner makes it look neat and professional. 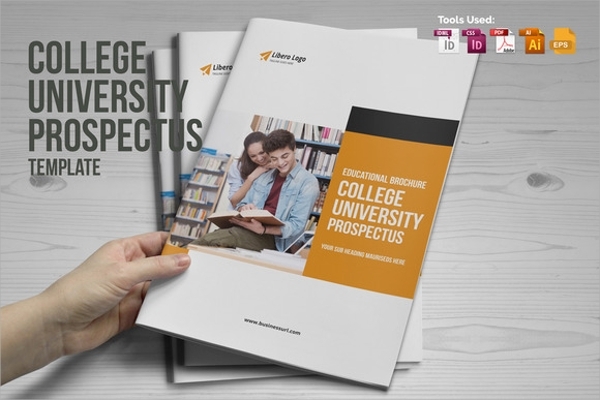 The perfect university brochure design is well suited to fit in small images, course descriptions, full page images, and lots of colors are also exhibited to make it look modern and bright. 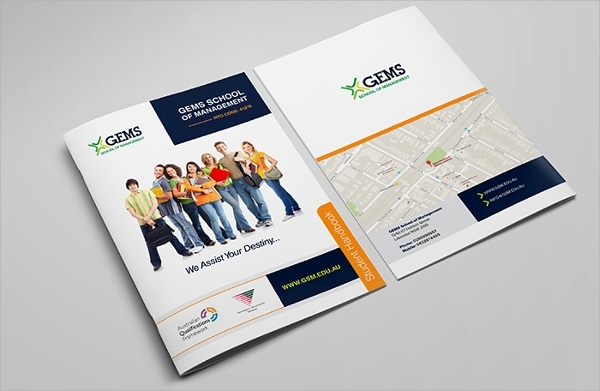 The typical modern style brochure is made with light designs to suit any school or college style. The white background and the nice images of teams on it make this look smart and inviting. Use lines of text within the number of pages to write all about the institution. 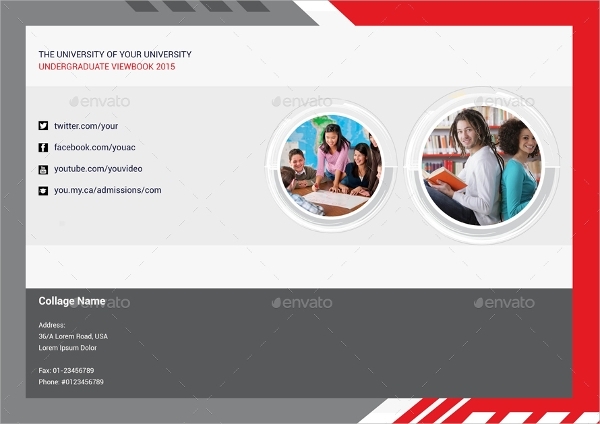 This brochure template is actually for a very colorful and bright presentation of the university or college where you may also highlight the excursions and field activities with small textual parts to define all of them. 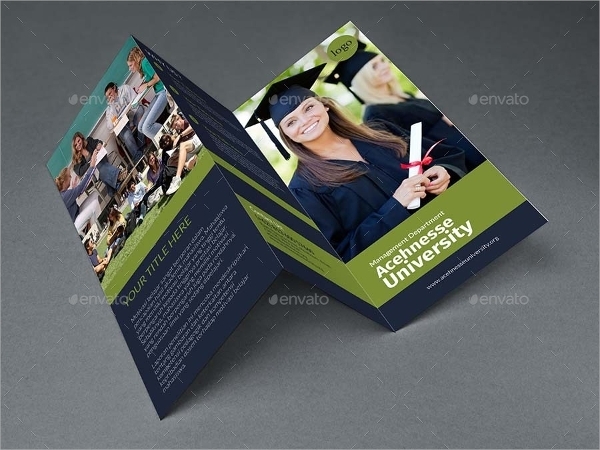 All of these brochure designs are made such that you can use them in your education institute as per suitability and your choice of design to promote and highlight the courses, facilities, past achievements, faculties and alumni in style before prospective students.